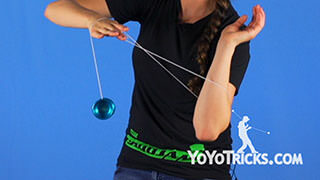 Learn the Evergreen Yoyo Trick in this tutorial from World Champion Tessa Piccillo. 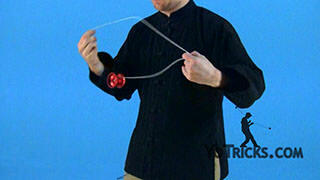 Evergreen Yoyo TrickThis trick is called Evergreen and this is what it looks like. So to start this trick, you are going to do a Wrist Whip but at the same time you are going to put your non throwhand into the loop like that to open it up. The easiest way to do that is to drape the string across your non throwhand like that and then do a wrist whip like that. 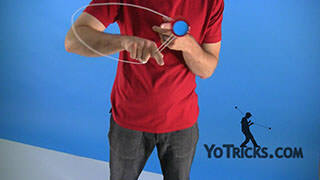 Then from here you are going to swing the yoyo under and over your throwhand and land on that same string. 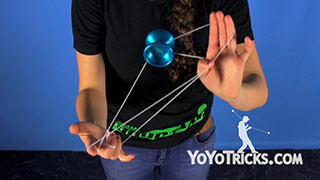 Then from here you are going to dismount the yoyo over your throwhand like that and turn your wrist inwards so then your thumb will catch that string as it slides off your hand. Then you are going to let this string tunnel down your non throw arm and bring your throwhand close to your elbow like that. Then swing the yoyo under your opposite arm and turn your wrist out to catch it on a trapeze behind your opposite arm like that. 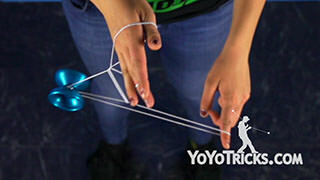 Drop everything from your throwhand and this trapeze will set you up for the rest of the trick. So from here you are going to dismount the yoyo and curl your wrist in, then bring your arm over your head like that and swing the yoyo all the way to the other side, catch that string on your elbow right there and land into a brother’s mount and slide that string down your wrist to set yourself up for the Trapeze and Brother Slack. So from here you are going to pinch the string on your index finger and slack the string over and catch it on your non throwhand wrist. 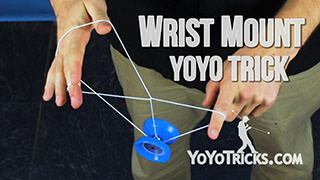 Then have the yoyo go over your wrist and into that top string, drop the loop connected to your throw hand, then unwrap the yoyo with your throwhand. 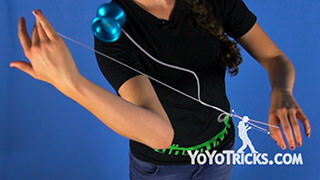 Then you are going to do a Pull-Over Loop Wrap by having your wrist go in and over the string and as it comes over the second time, grab the string with your hand and let the yoyo continue to go all the way over and lay on your throw arm. 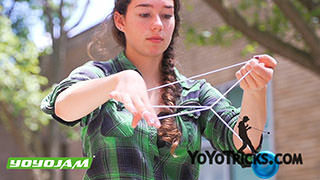 Then you are land the string in between your two hands, like that, to make a modified Wrist Mount. So from here you are going to block the string on top of the kink with your throwhand, and make sure you don’t grab it, just block it to prevent it from moving. You are going to cross your arms and push the yoyo forward so it can Reject, uncross your arms and point your wrists downward and land the yoyo on top of that front string. So you are going to want to do these movements all at one time so right after your reject it, land the yoyo on top of the string. 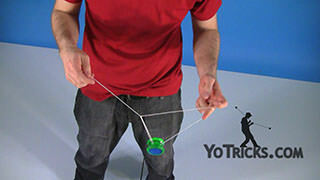 So from here you are going to want to make sure that both of your hands are facing downward and that your throwhand is completely inside of the loop as well as your thumb in the back, and what you are going to be doing here is popping the yoyo up and bringing all of the strings all the way around the yoyo unlike in And Whut where you bring just one string around the yoyo, so your hands are going to be going from the back, up and then out. So it is going to look like that. It is going to be in the same mount that you land in except that the palm of your throwhand will start facing out and then will end up facing inward. Then from here you are going to pop the yoyo up on this string behind the kink, then swing the yoyo up and over your throwhand and drop the string around your throwhand and you will be in a Green Triangle. From here pop the yoyo out of the back and do a Jumprope at the same time to avoid the twist in the string, dismount and that is Evergreen.